BluOcean has full options including Seakeeper Gyro Stabilizer keeping the vessel functional and seaworthy.One of the main characteristics of the Aicon Yachts is the particular attention to design and the style of their luxury yachts. Their vessels are not only aesthetically pleasing but are extremely comfortable. 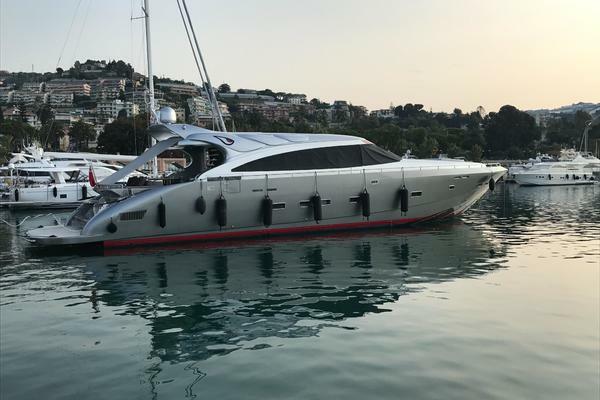 The company applies the latest technology and design elements to each of their yachts, thus creating a unique product, combining luxury, technology, and quality. United Yacht Sales New Jersey would love to guide you through a personal showing of this 85' Aicon 2010. This yacht for sale is located in United States and priced at $2,700,000. For a showing please contact us by filling out the form on this page and we will get back to you shortly!